How to add Devices to Logitech Harmony Elite? Logitech Harmony serves as a one-stop solution to cater to almost all of your Home Automation requirements. Its across the brands integration facility helps you controls various things like lighting systems, speakers devices and other electrical appliances like TV, Air Conditioners, Laptops etc. 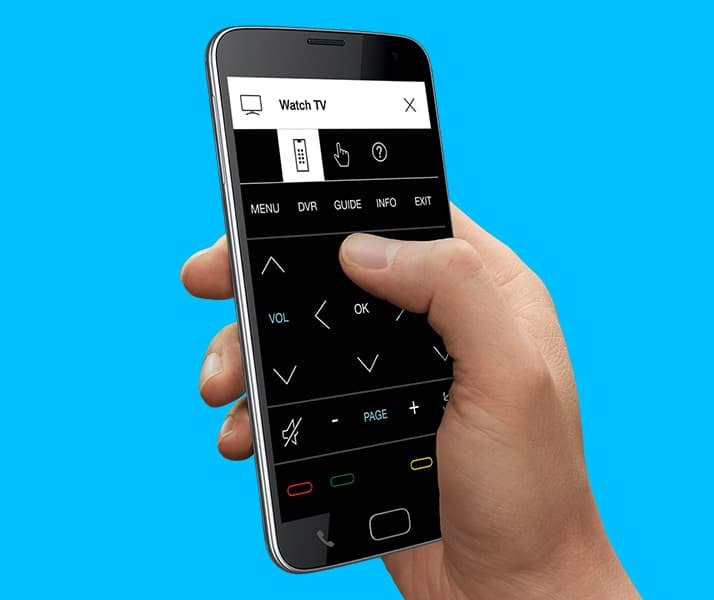 This helps you to reduce the complexities of using multiple remote-controls, dedicated for every individual appliance, thus offering you an one-stop solution for easy control over things. The additional thing about Harmony is that it lets you set various activities as per your needs, and gives users the flexibility to configure various devices under each activity. For e.g. 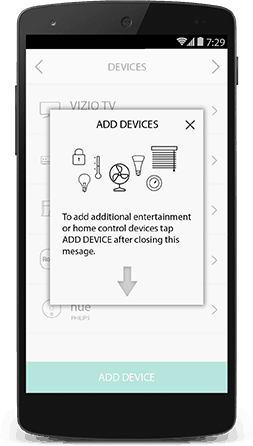 users can configure the “Movie” activity which sets lights to a particular brightness, turns on the AC, triggers the Home Theatre etc. Thus by triggering the activities, you can trigger several devices over just one command. Once that you’re done with the basic installation and setup process [Read: How to setup the Logitech Harmony Elite? 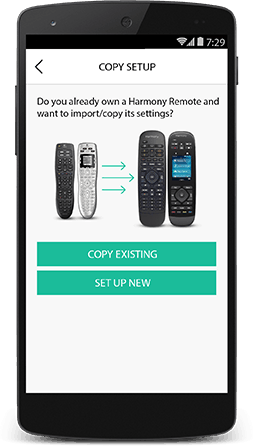 ], let us take a look at how to add devices to Logitech Harmony Elite. 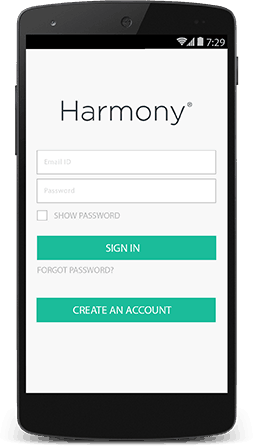 Step 1: In case you already have a Harmony account, just Sign In or Create an Account. Step 2: After this, you will be navigated to several screens that explains and gives an overview as to how the Harmony Elite works. 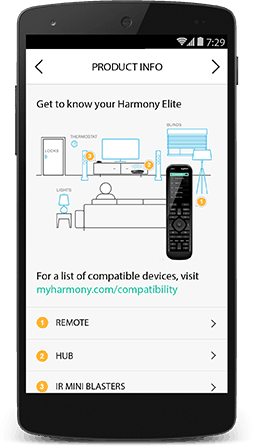 Step 3: In case you previously have a Harmony remote, you can transfer all the device and activity settings to your Elite Remote by selecting the copy existing option. However for new setup click on SET UP NEW. Step 4: Now proceed to add the devices. Initially, Harmony will try to add few existing devices (if any) devices like Sonos and Philips Hue. Users can also click on the “ADD DEVICE” button at the bottom. Here, users might also be asked to add their username and password credentials to continue with the on-going process. Step 5: Further the Harmony App will guide you to configure Activities as per you own convenience. 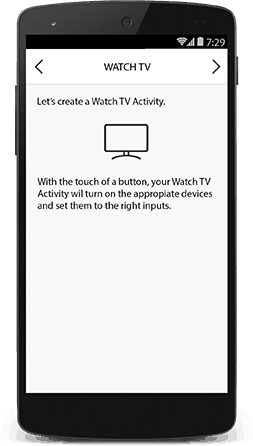 This feature will allow you to configure several devices under one activity, all of which will turn on once the activity is triggered.